Mahjong Daiyogen - Kono Gyaru Uranaishi Ni Tsuki © 1990 Video System. 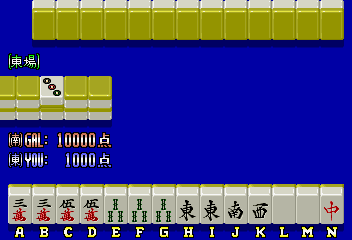 A mahjong game with a tarot card theme and random bonus items. The title of this game translates from Japanese as 'Mahjong Great Prophecy - This Fortune-Teller Gal Brings Luck'.